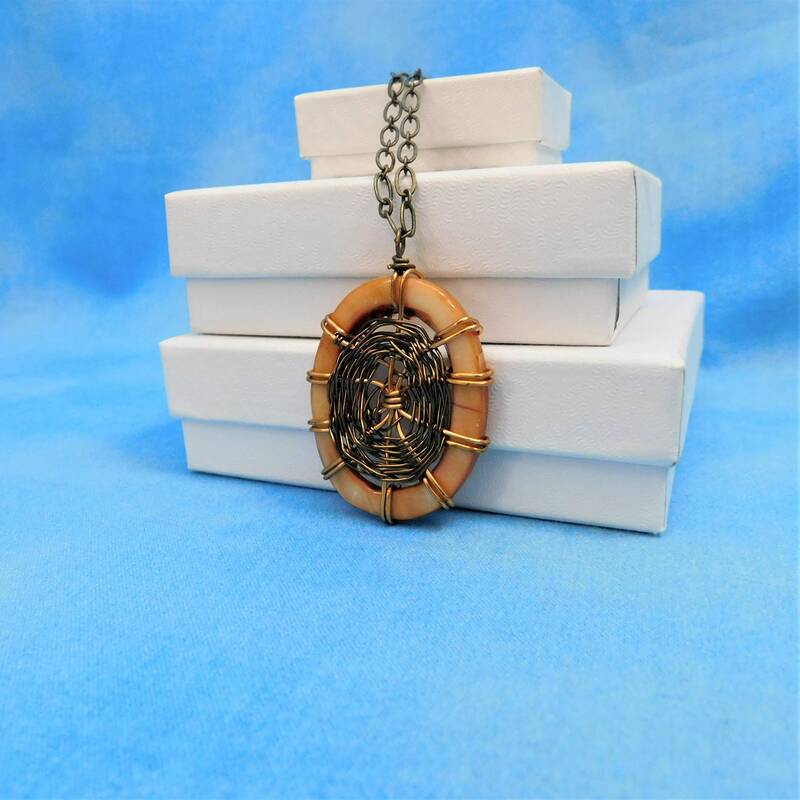 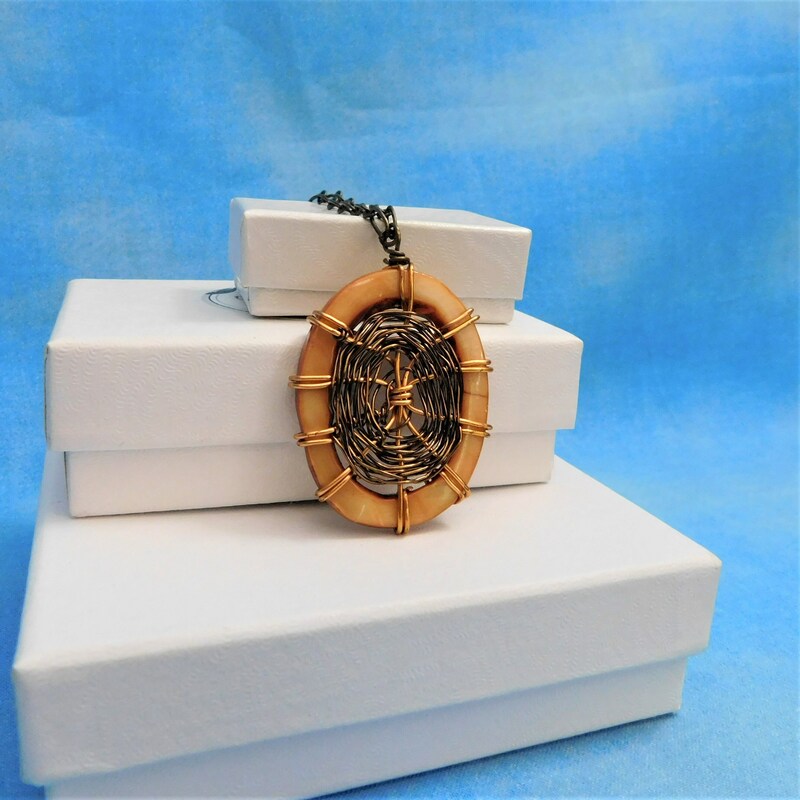 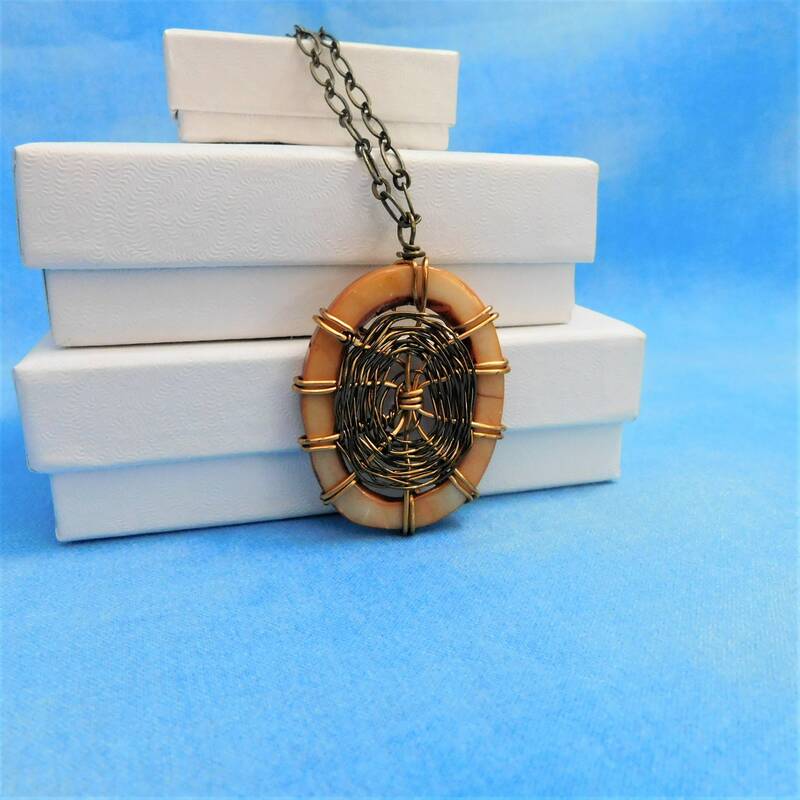 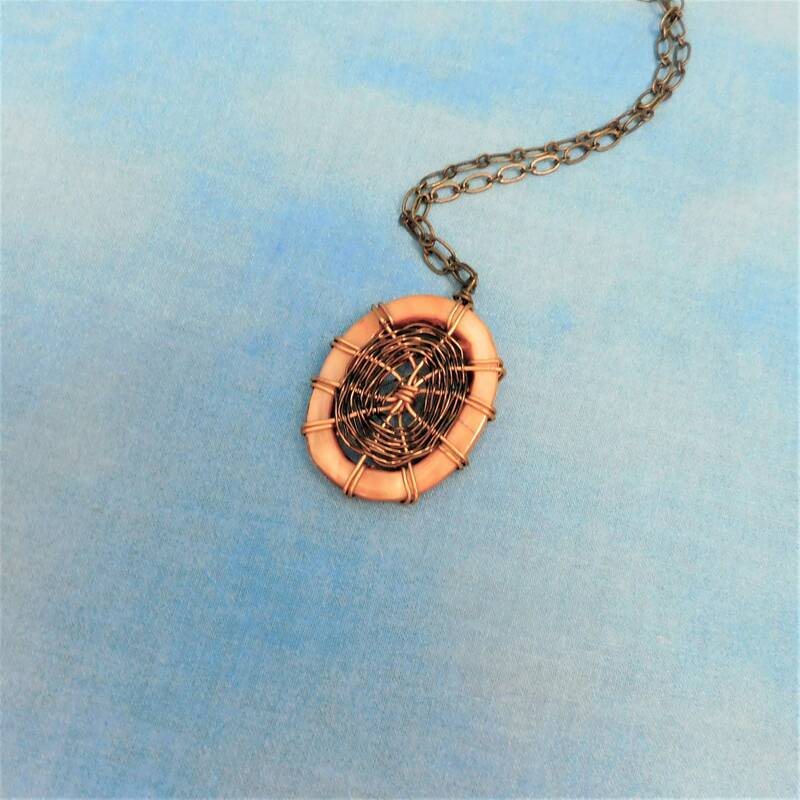 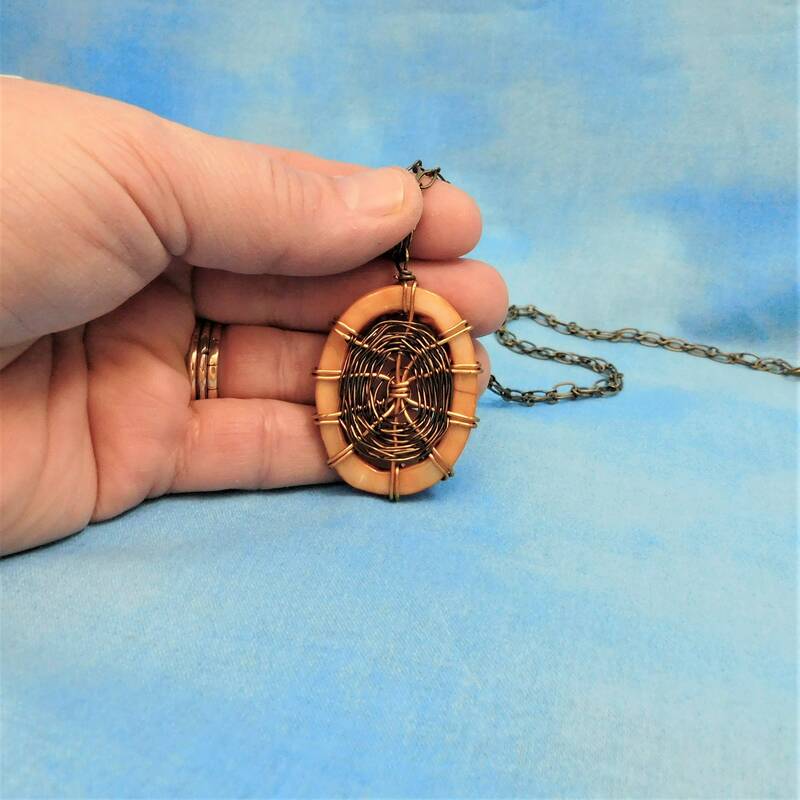 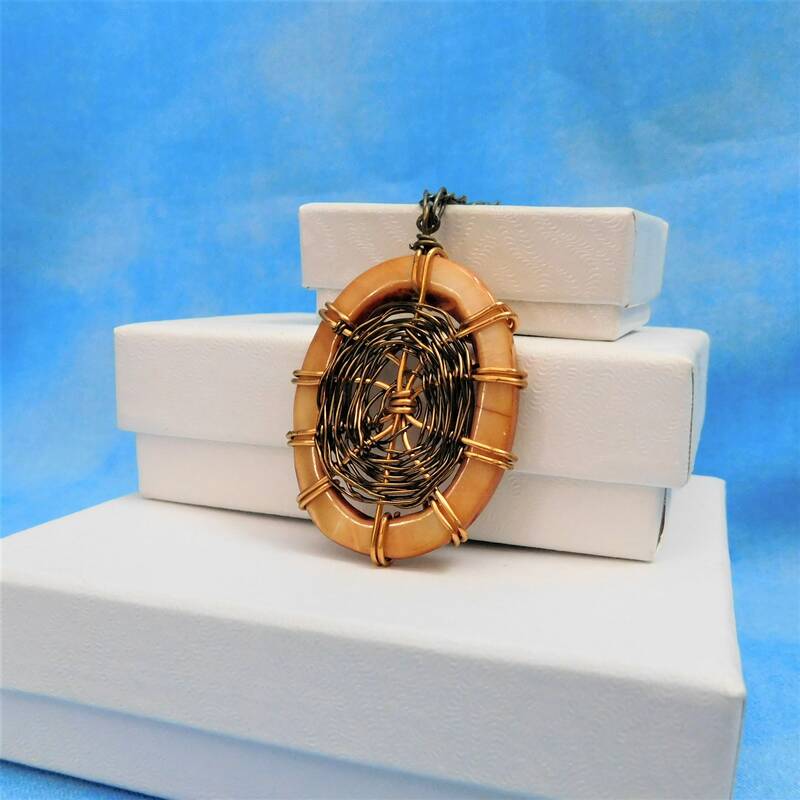 Shades of non tarnish copper wire are woven by hand to artistically wrap a copper colored mother of Pearl shell, creating a 1 1/2 inch by 1 1/4 inch pendant style necklace. 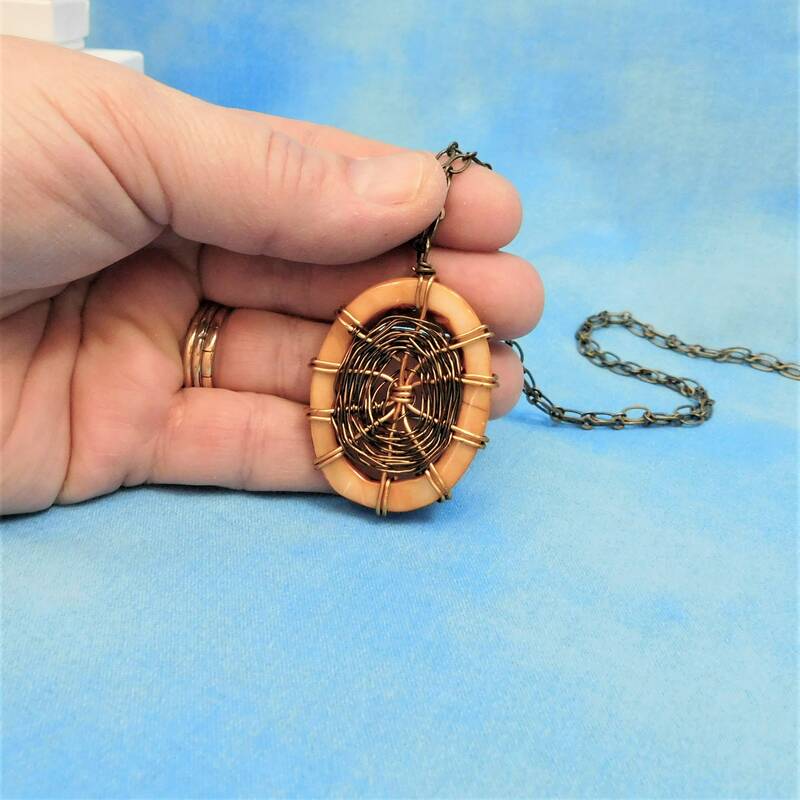 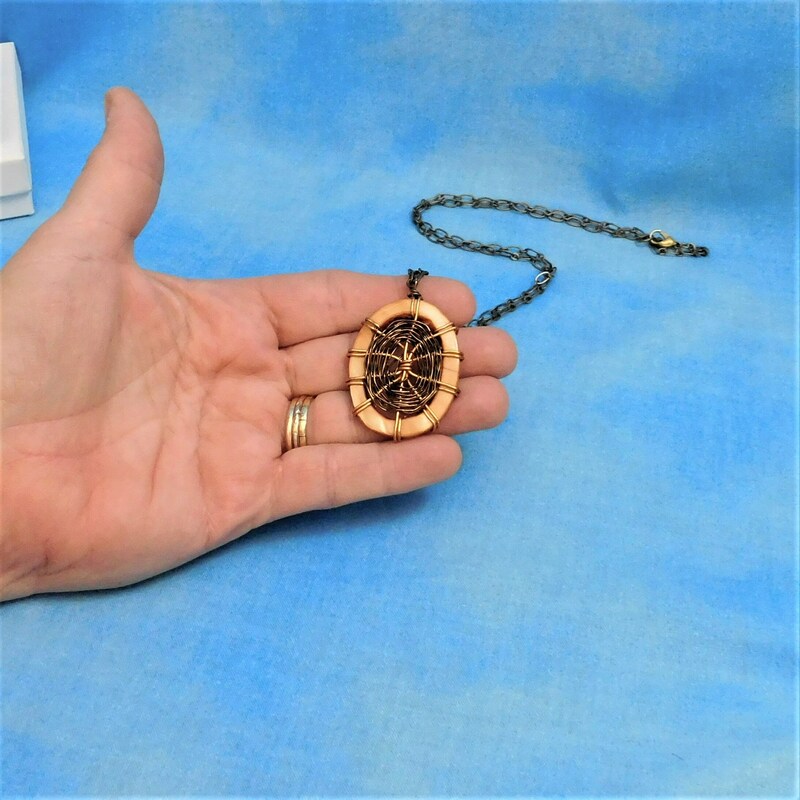 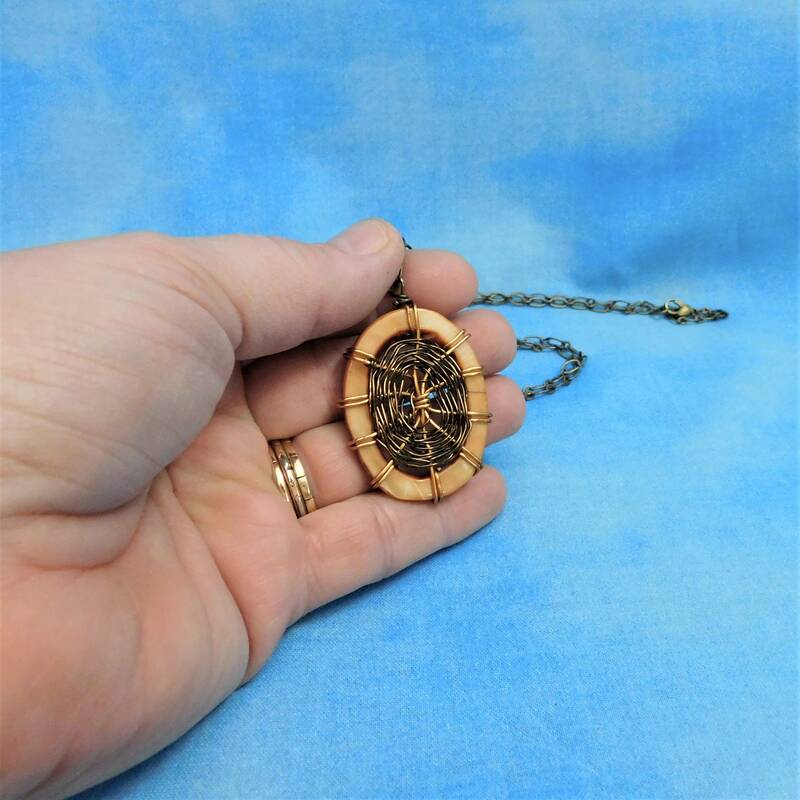 The rustic look of this pendant can go from casual to dressy and will be a favorite that gets attention everywhere it is worn. 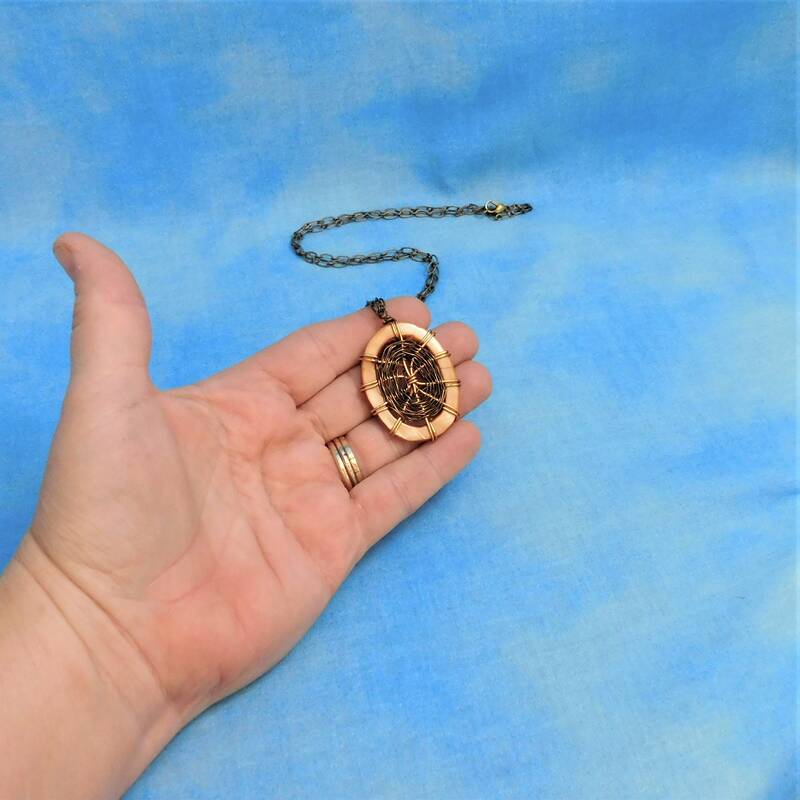 It is a one of a kind design and a unique piece of wearable art.